WTF! 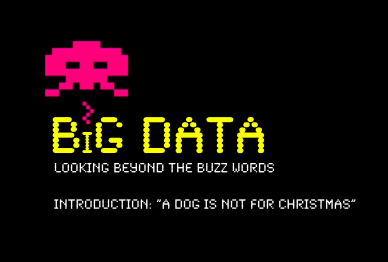 Using Space Invaders as the premise for a ‘big data’ presentation to the WFA? Yes. 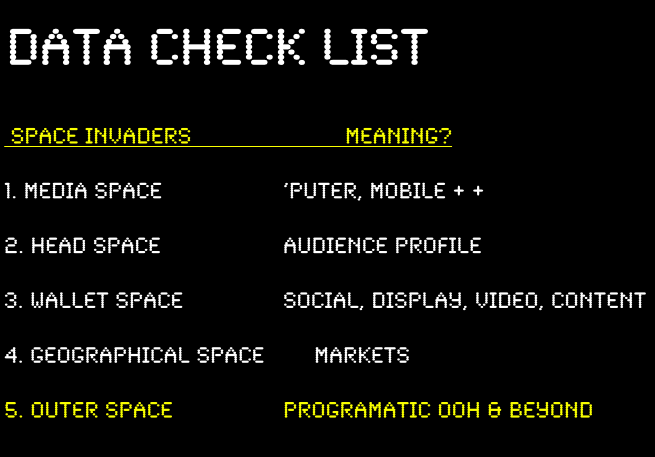 Big data has a lot in common with Space Invaders. And that’s what’s so exciting. How do I know? Well, I’ll be telling that story to the WFA soon. The World Federation of Advertisers (WFA) is a formidable body who put on conferences and a forum or two each month across the globe for their members who are top, international companies who have big advertising budgets. What a delight to be invited to speak at their Integrated Marketing and Communications Forum in Singapore next week. My topic is about data-driven marketing, a subject close to my heart as I’ve been helping advertisers and their creative agencies get closer to some of the data normally closely guarded by their media agency trading desk. Ah the brave new world of programmatic buying in general and real time bidding (RTB) in particular. And the right vehicle I have today to help tell the data story is Space Invaders. And it’s not just because that seventies game was the first foray into digital media that many of us “old folk” remember! So, there are lots of areas that data will allow us to successfully invade; space we can invade, if you will. See what I’ve done there? To that end, we need to check the data that is available to us right now across all areas of marketing. We need to analyse yesterday, watch today in real-time and model tomorrow’s world. Yes, the data that marketers can collect about customers through in-house systems, through advertising and through third-party, paid for data is vital. And so often neglected. Even today. And marketers know that. How are you using data to bridge the gap? 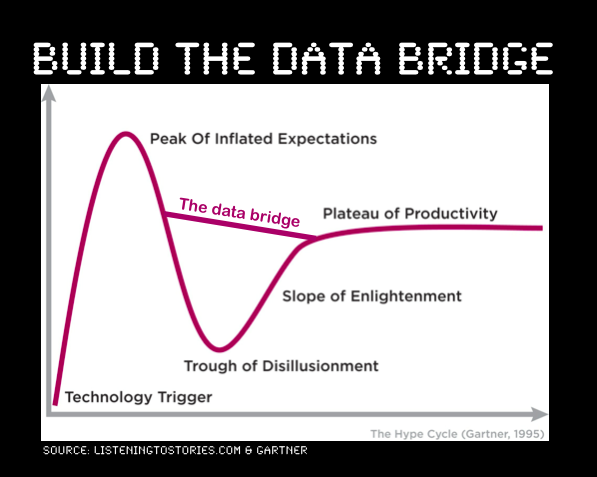 Or if we look at Gartner’s Hype Cycle when it comes to Big Data it is currently at the top of the Peak of Inflated Expectations. So let’s bridge the gap between the hype (“the peak”) and the plateau of productivity. But that’s a whole workshop in itself.